These septic storage tanks are normally installed on sites where no sewage or mains drains are connected at that time. It will contain all the site’s waste water and sewage. 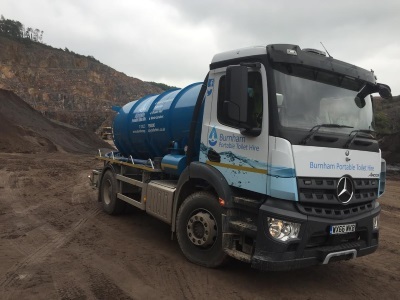 These tanks can vary in size, Burnham Portable Toilet Hire can empty and service these tanks at all times. The only way to remove the waste is by a licensed contractor such as ourselves. Our highly trained operators will arrive on site with all the correct PPE and safely remove and dispose of the waste. This will ensure that you are complying with all the regulatory requirements, such as the Environment Agency. We can arrange a service at a time and date to suit you. This can be a call off service or indeed to meet a schedule if you require. 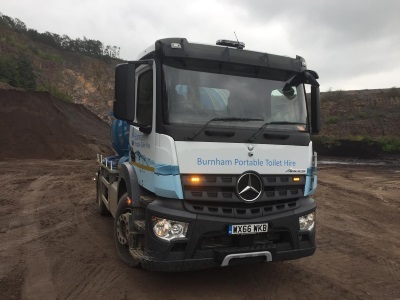 Burnham Portable Toilet Hire will provide you with all necessary insurance certificates, waste carriers licence, permit to discharge and waste transfer notes. Major companies in the area are amongst our regular customers.